This complete Colour Coded Tajweed Quran comes with a nice and beautiful hard cover, it includes translations and transliteration into German. 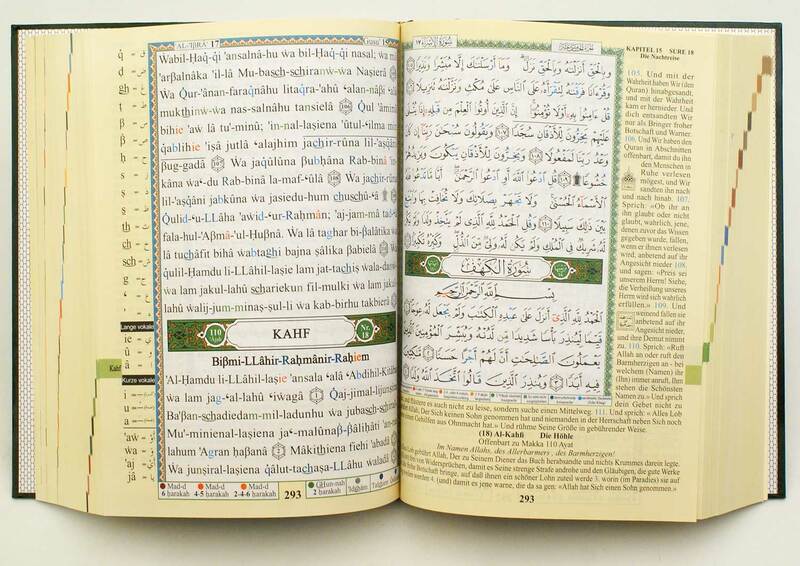 Translation: meanings of the Quranic versus are translated into German and placed on the margins around the Arabic text. Transliteration: Arabic letters are presented by German letters with added symbols in order to give the same sound of Arabic letters. 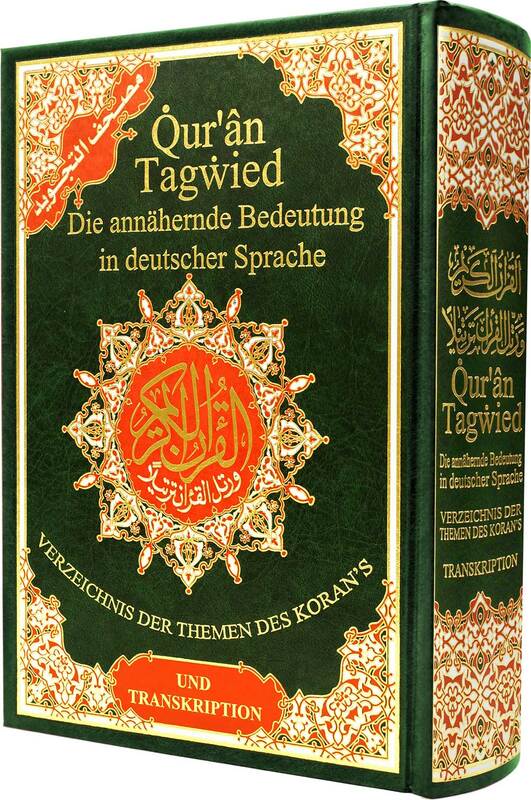 German transliteration makes it easier for the speakers of the German language to read the Tajweed Quran in Arabic pronunciation using the German alphabet letters. Overall I rate it 100 per cent. Quiet impressed with delivery service.